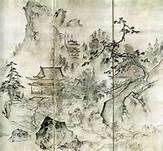 The Japanese artist Tensho Shubun was deeply influenced by landscape artists from the Middle Kingdom (China). Indeed, Shubun is noted for being one of the founding fathers of introducing Chinese-style ink painting in the land of the rising sun – along with Josetsu (a naturalized Chinese immigrant who blessed Japan). This ink painting in Japan is called suiboku and when fused with Buddhism many intricate ideas emerged for Shubun during his informative years. It is known that Shubun became a professional artist at a relatively young age in the early fifteenth century. His rise was meteoric within the Bureau of court painting that became firmly established during the shoguns of Ashikaga. Therefore, he even participated in diplomatic areas related to the important mission to the Kingdom of Joseon (Korea) in 1423. At the same time, the powerful holy temple of Zen Buddhism called Shokoku-ji became important for Shubun. Similarly, the highly cultured Josetsu, an immigrant from the Middle Kingdom, inspired Shubun. 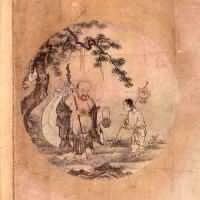 Hence, the flows of suiboku and art from the Song Dynasty of the Middle Kingdom reached Shubun through Josetsu. This reality came at a very opportune moment for Shubun in his early career. Shubun bridged the cultural themes of the Middle Kingdom and Japan. In a similar way, he connected various generations of powerful artists that blessed the land of the rising sun in this period of history. 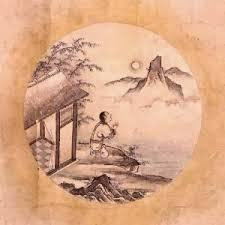 Shubun was a potent bridge between Josetsu, who inspired him greatly, and his pupil Sesshu Toyo. Hence the flows of the Middle Kingdom and the land of the rising sun developed into a legacy of increasing Japanese artistic and cultural identity throughout the fifteenth century. Similarly, the evolution of Buddhism and the aesthetics of this faith further entrenched itself within the psyche of Japan during the lifetime of Shubun. Some Japanese art and cultural articles by Modern Tokyo Times are republished based on our growing international readership.